I am hoping to have a shapefile for commuting zones (CZ) for the year 1990 to use in ArcGIS. Where can I obtain this data? USDA ERS provides commuting zones and labor market areas for 1990, but it is not in the format of a shapefile. Is there data that follows similar information as their excel file in the shapefile format? 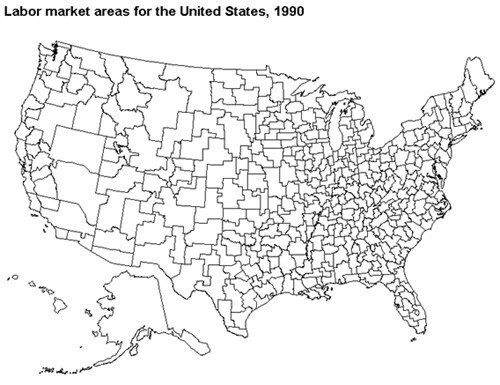 The Health Inequality Project has Commuting Zone Boundaries (1990 Definition) that look extremely similar to the USDA ERS LMA for 1990. LMA (Labor Market Area) were used prior to Commuting Zones in 2000. Where can I find high-precision cartographic data of French rural areas?